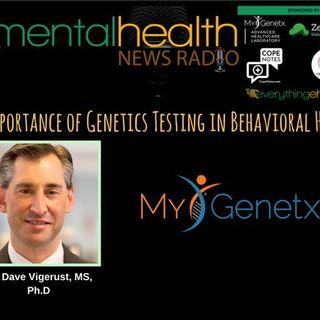 Dave Vigerust, Ph.D. is the Chief Science Officer of MyGenetx. Dr. Vigerust is a strategic scientist, consultant, teacher, and inventor, particularly in the areas of infectious disease, oncology, genetics, pharmacogenetics (PGx) and immunology. Dr. Vigerust earned his BS degree from the University of Texas at El Paso in Biology and Chemistry, a MS degree in Immunology and Microbiology from Texas Tech University and his Ph.D. in Cellular and Molecular Pathology from Vanderbilt University School ... Más informaciones of Medicine. He completed postdoctoral fellowships in infectious disease first at St. Jude Children’s Research Hospital and second at Vanderbilt University Medical Center in the Department of Pediatrics. After completing his fellowships in 2009, he joined the faculty of Vanderbilt School of Medicine in the Department of Pathology, Immunology and Microbiology and was concurrently a Health Research Scientist for the U.S Department of Veterans Affairs. Dr. Vigerust currently maintains an Adjunct Assistant Professor position at Vanderbilt University Medical Center in the Department of Neurological Surgery and is Clinical Assistant Professor at the University of Maryland Eastern Shore School of Pharmacy. In 2014 he joined MyGenetx Clinical Laboratory as the Chief Scientific Officer and directs the scientific and educational missions of the lab. Dr. Vigerust’s academic and research interests focus around areas of precision medicine in cardiology, behavioral medicine, infectious disease, traumatic brain injury, neuro-oncology, neuroinflammation, and neurodegeneration. Dr. Vigerust has been widely published, including in 2016, studies in Clinical Diabetes, Future Cardiology, Future Neurology and Postgraduate Medical Journal. Dr. Vigerust was a speaker at 2016 TEDxNashville on the topic of Precision Medicine.